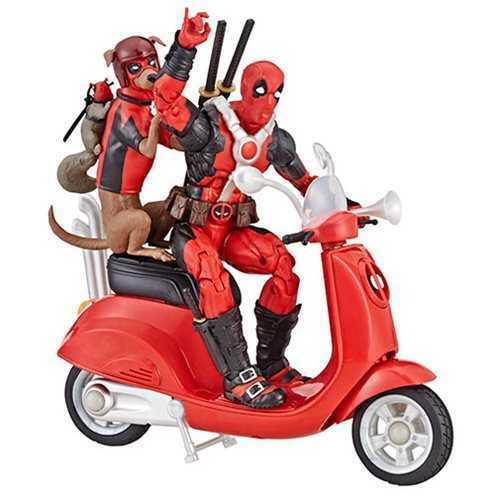 Produktinformationen "MARVEL LEGENDS ULTIMATE DEADPOOL MIT SCOOTER"
With Marvel Legends Series 6-inch-scale figures and vehicles, kids and collectors alike can start a legendary collection of comic- and movie-based Marvel characters. With these 6-inch-scale figures and vehicles, featuring classic design and premium articulation, Marvel fans can imagine recreating the arcs from some of their favorite Marvel comics. Weiterführende Links zu "MARVEL LEGENDS ULTIMATE DEADPOOL MIT SCOOTER"
Kundenbewertungen für "MARVEL LEGENDS ULTIMATE DEADPOOL MIT SCOOTER"